Kanye West Absolutely Denies Cheating on Kim Kardashian with Leyla Ghobadi! Kanye West has found himself in a bit of hot water concerning his relationship with Kim Kardashian, and it couldn’t have come at a worse time, especially being that Kim is super duper pregnant. The word on the street is that Kanye West cheated on Kim Kardashian with 24-year-old bartender Leyla Ghobadi — or so she claims. However, of course, Kanye West is denying any and all scandalous, extracurricular activities with any other woman but Kim Kardashian. But given Kanye’s past, I think some people are a little skeptical to take his words seriously. Is this just another instance of a random person looking to mooch off the fame of a celebrity? Honestly, the whole thing feels too strategic to me. I mean whether or not Kanye did have an affair with Leyla, I’m not sure. But what I do know is that she picked the opportune time to let all this dirty laundry out to dry. Leyla claims Kanye West had one of his security guards pick her out of the crowd at one of his concert, and the two then proceeded to go out and have a good time, eventually escalating into sexual activities. What do you think? Is this just another attempt to drum up some publicity — perhaps for ALL parties involved? Who knows . . . this could be another secret, SUPER genius move by our Kardashian Momager Extraordinaire Kris Jenner. 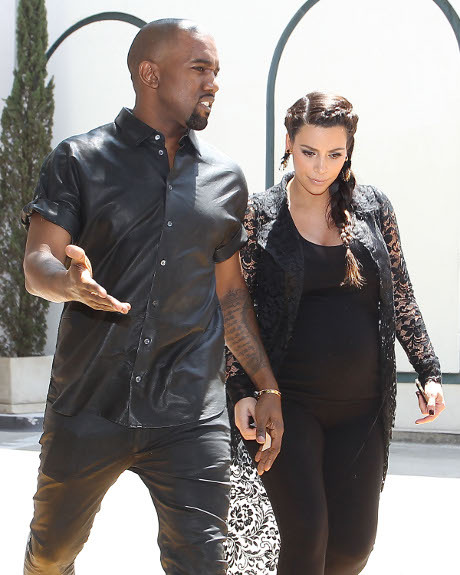 Kanye West Avoiding Kim Kardashian In L.A. – Is The Relationship Over?